Sports Rendezvous: Anthony Joshua: Wilder wants to fight boxer in America. Anthony Joshua: Wilder wants to fight boxer in America. Wilder and Joshua have been going at each other and are expected for a summer showdown. American boxer Deontay Wilder has told Anthony Joshua that he wants to fight him in his country and not the United Kingdom. Wilder and Joshua have been going at each other and are expected for a summer showdown if they both come out victorious in their next fights. 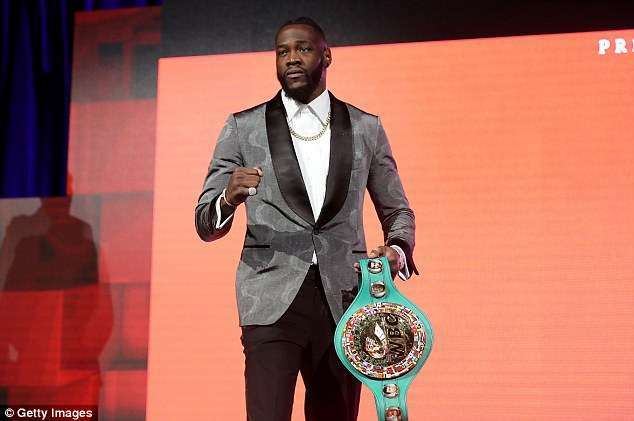 Wilder will be facing Luis Ortiz for the WBC belt while Joshua will defend his IBF and WBA world titles when he faces Joseph Parker for the WBO title on March 31.